Created an API for a voting application and then created web and mobile clients that consume that API. Used .NET Core, Entity Framework Core, and Postgres to create an API that runs on Windows/Linux/OSX. Used React Native and Redux to create a mobile application that consumes the API, and runs on both Android and iOS while using the same codebase. Used TypeScript to write a single-page application with React and Redux to interact with the API. Created a cross-platform mobile application that displays a user's current location, displays nearby businesses, and then recommends the credit card that will generate the most cash back for the type of business. Used .NET Core, Entity Framework Core, and Postgres an API, that runs on Windows/Linux/OSX. 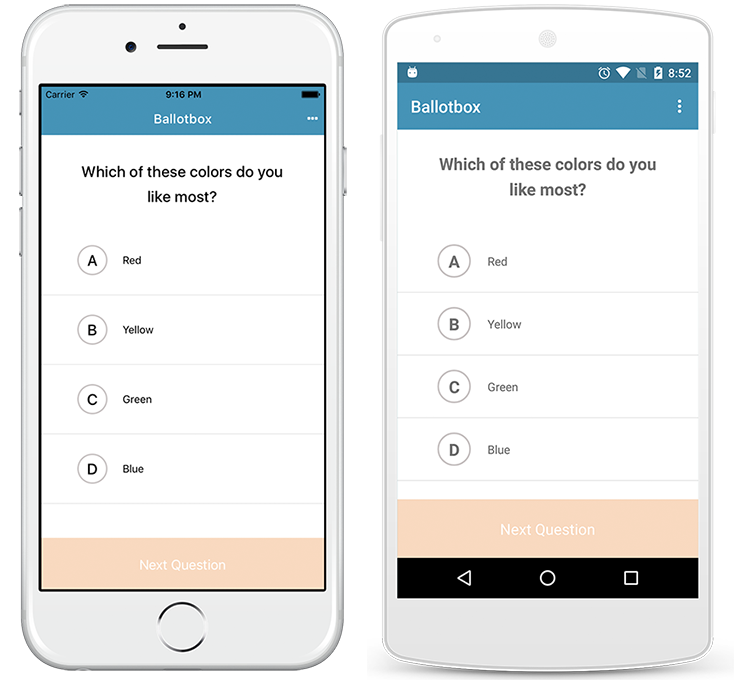 Used Xamarin.Android and Xamarin.iOS to create native Android and iOS clients that consume the API. 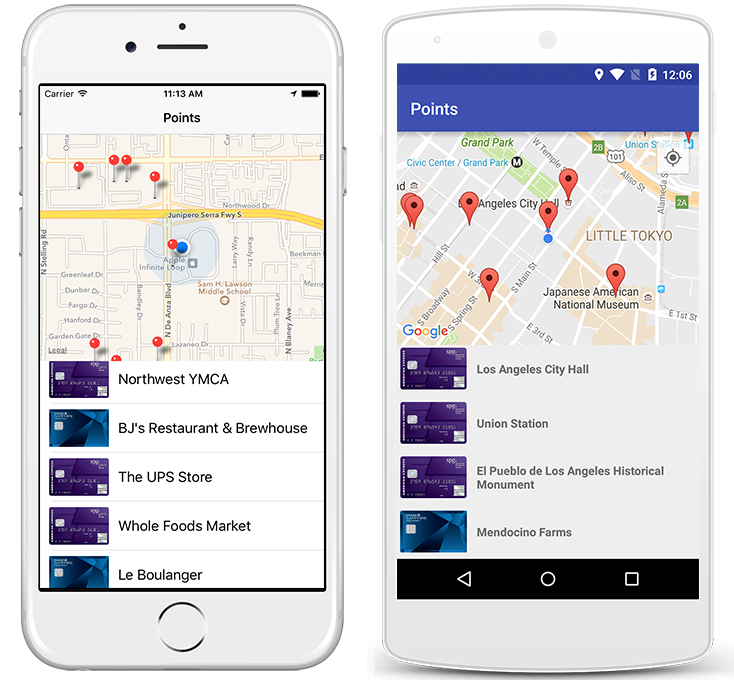 Used Google Places API to retrieve a list of nearby businesses and their category types. Created an Isomorphic JS Application that allowed users to browse a list of products and add them to a cart. Wrote all application code with ES6 and ES7 (async/await) features. Used Webpack to automate build tasks – compile and hot load React components, compile SASS, bundle and compile ES6 with the Babel Loader. Used Node.js, Express, and Postgres to create an API. Wrote a single-page application with React.js and Alt.js to interact with the API. Allowed React Components to be rendered on both the server and client. Allowed the SPA to be bootstrapped with data rendered on the server. Used Gulp to automate build tasks – rebuild application on source changes, compile SASS, bundle and compile CoffeeScript with Browserify. Used Hapi.js to create modular server plugins and provide a RESTful API. Wrote a single-page application with Marionette.js to interact with the API and server/client events. Used Socket.IO for real-time communication between the Hapi.js server and the Marionette.js client. Used Browserify to break the Marionette.js app into separate CommonJS modules.